Based in Madrid Instasent, part of Fibonad group, is a A2P Mobile Messaging solutions. Instasent is one of the largest and the most secure platforms in the market, inhouse developed for sending bulk SMS world wide, which makes it perfect for communicating effectively with your customers, via bulk SMS messages with the possibility of integrating external applications using our own API (HTTP / SMPP). Do you need a dynamic and very easy to use A2P SMS push platform? 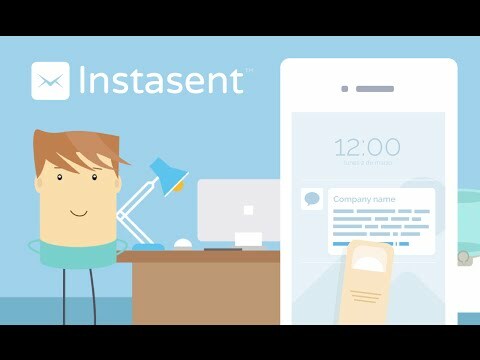 Instasent was added by instasent in Mar 2018 and the latest update was made in Mar 2019. The list of alternatives was updated Jan 2019 There is a history of all activites on Instasent in our Activity Log. It's possible to update the information on Instasent or report it as discontinued, duplicated or spam. Alternatives to Instasent for Web, iPhone, Android, Windows, Mac and more. Filter by license to discover only free or Open Source alternatives. This list contains a total of 25+ apps similar to Instasent. No reviews yet for Instasent, want to be first? Maybe you want to be the first to submit a comment about Instasent? Just click the button up to your right!